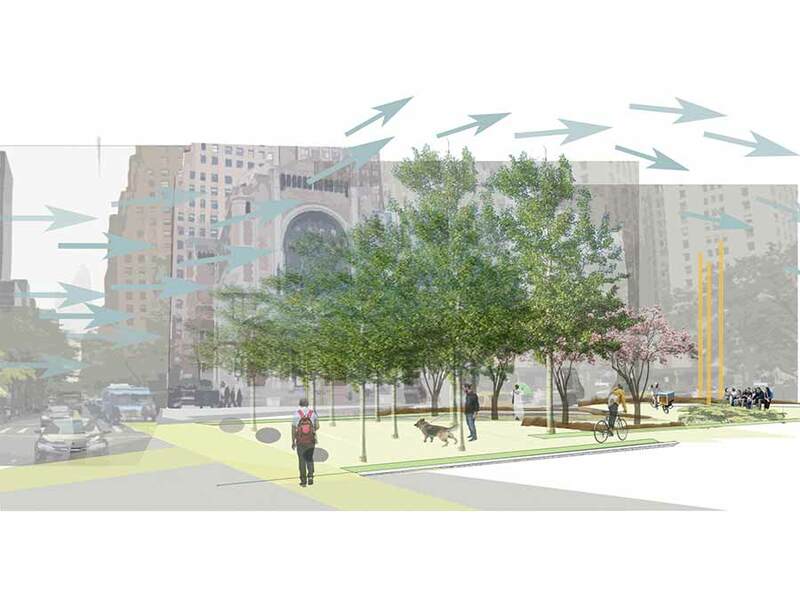 Park Avenue in midtown Manhattan is an iconic and historically significant boulevard that suffers from a lack of activity and attractions. 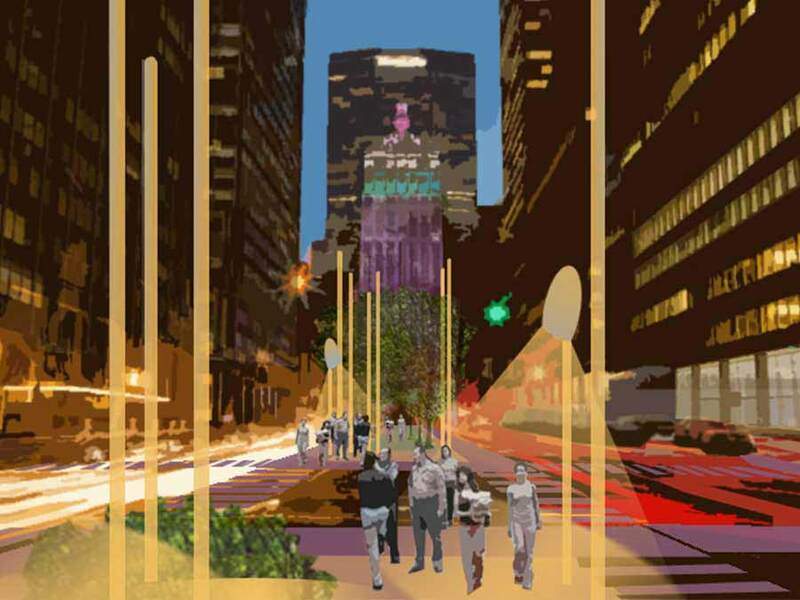 In collaboration with Heather Heimarck of HighMark Land Design, we entered an open design ideas competition called “Beyond the Centerline”. 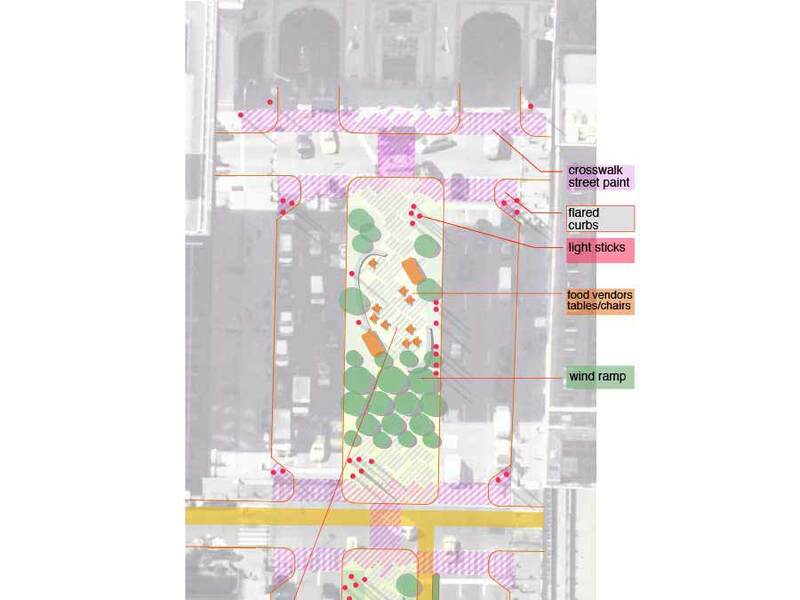 Our concept was to reinvent the Avenue, by creating a linear promenade punctuated by commons and community spaces. 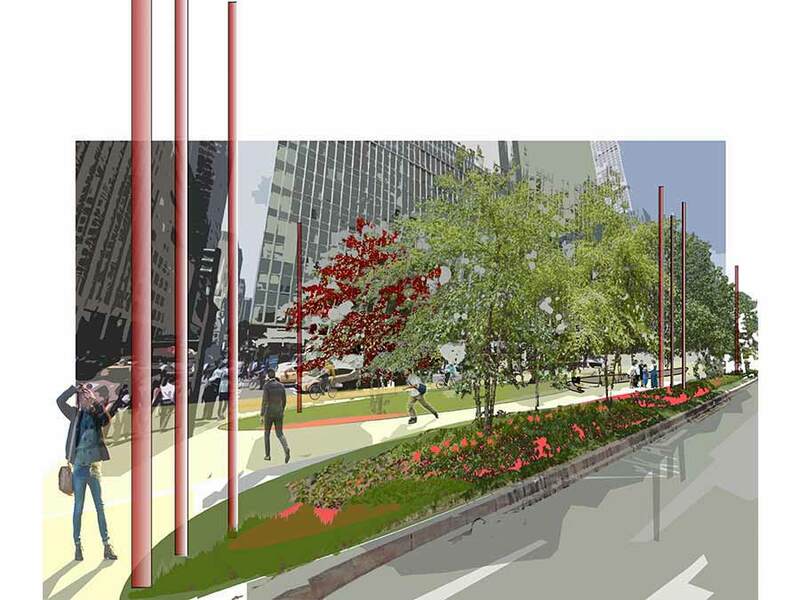 Pedestrians and bikers would be advantaged by reducing traffic lanes and calming intersections. 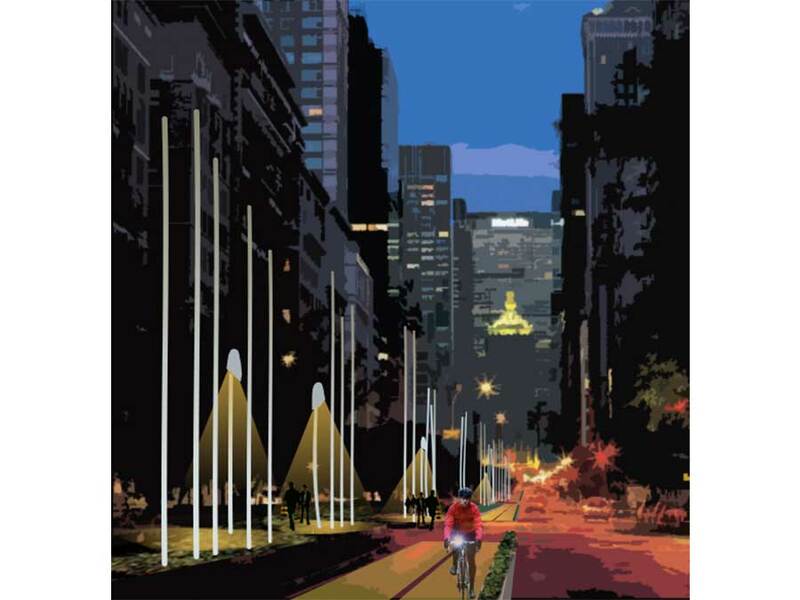 Wind ramps and light sticks would help to create an iconic new zone of urban life.